Lenovo has unveiled a new small form multimedia computer, which they have just added to their range in the form of the new Lenovo IdeaCentre Q180 Desktop PC. Which has been created by Lenovo to provide you with a small, mobile home theatre solution. This neat little computer comes powered by a dual-core Atom processor supported by 4GB of DDR3 memory and the option of either a 750GB hard disk drive or 128GB solid state disk for storage. The IdeaCentre Q180 also comes equipped with full HD graphics, 7.1 surround sound, with the option to add a Blu-ray Disk drive supporting Blu-ray 3D playback. Together with support for DirectX 11,wireless multimedia remote with a built-in mini-keyboard and mouse, VGA/HDMI outputs, USB 3.0 port, 8-in-1 card reader and connectivity provided by 802.11/BGN WiFi. 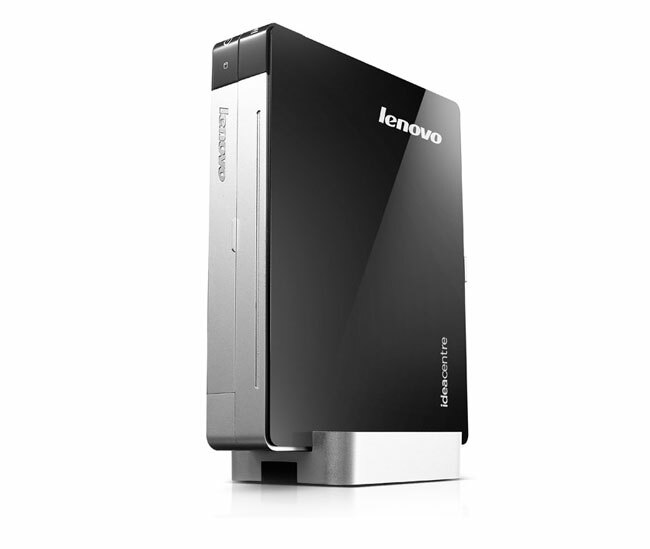 The Lenovo IdeaCentre Q180 Desktop PC is now available to purchase in stores and online for around $349.